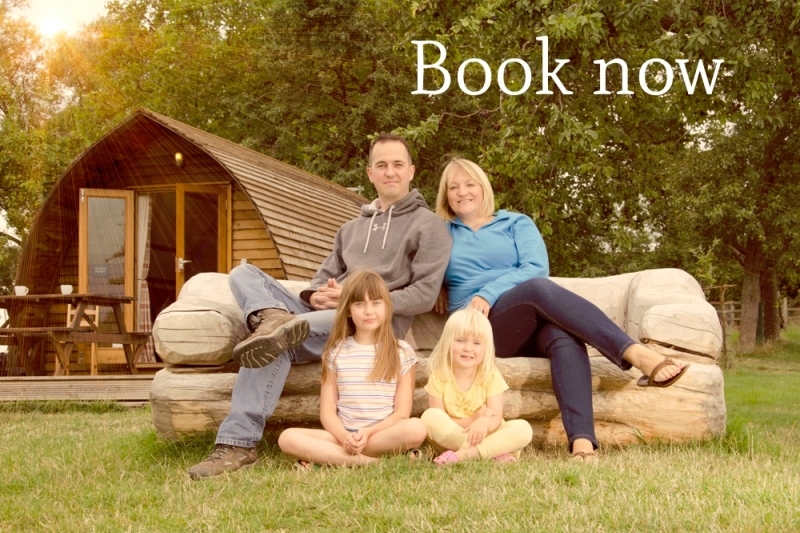 Our wigwams are situated in the beautiful mature orchard at Hill Farm. The orchard is home to wonderful old apple, pear and damson trees. The tranquillity of the orchard, with its canal side setting and breathtaking views of the Chiltern Hills make this an ideal setting to enjoy a unique glamping experience. A step back to more tranquil times. Leafy lanes, apples slowly ripening on ancient laden trees, a majestic heron standing guard on the canal bank. Gaily painted narrow boats meander by. Breakfast alfresco, a lazy morning reading, then perhaps a gentle stroll along the towpath to the local pub for a nice lunch. Whether you seek a solitary weekend escape, some couple time, fun with friends, or to spend quality time with your family, there is so much to see and do nearby. Have a look at our activities page for lots of ideas. 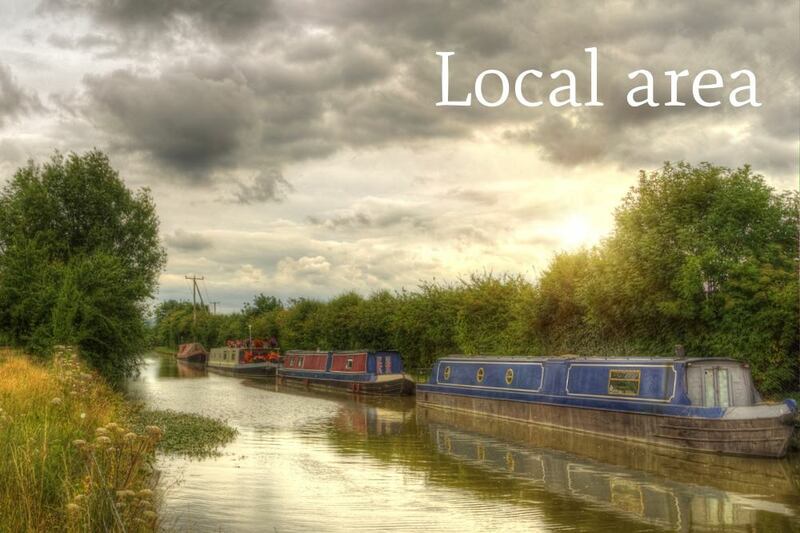 The closest pub, The Grove Lock, is a a lovely stroll away along the canal, or a 5 minute drive by car. There are several other pubs within 2.5 miles - a short car or taxi ride away. See our local interests page for further details. Hill Farm & Orchard is conveniently reachable from London. The nearest railway station is Leighton Buzzard which is 5.1 miles away. We recommend Burgins taxis which are available at the station, please tel: 01525 372131. The nearest bus stop is in the centre of Slapton, opposite the Carpenters Arms (approx 0.5 miles). Bus timetable can be accessed here. The main road from Hill Farm to Slapton does not have a pavement and has tight corners so please take care if walking on the main road. The car park is situated outside the farmhouse, a short walk to the wigwams. We have a secure, gated entrance. Check in time from 3pm/ Check out is 10am. 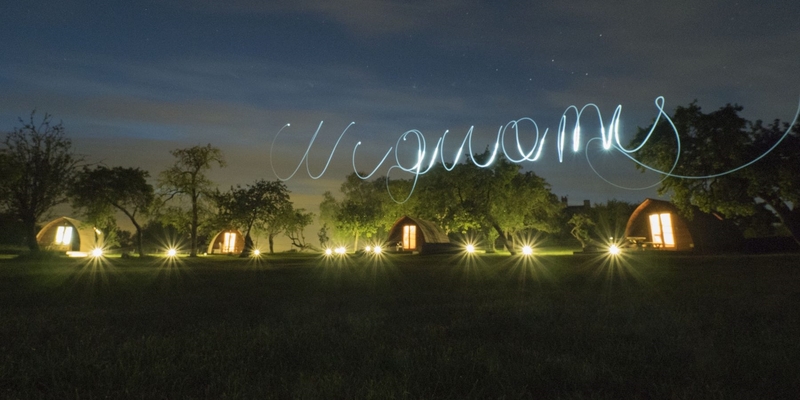 The wigwams do not have WiFi, we find that many of our guests are looking to escape modern technology during their break with us. There is a good 3G/4G signal. We have acceptable mobile phone signal on most networks.